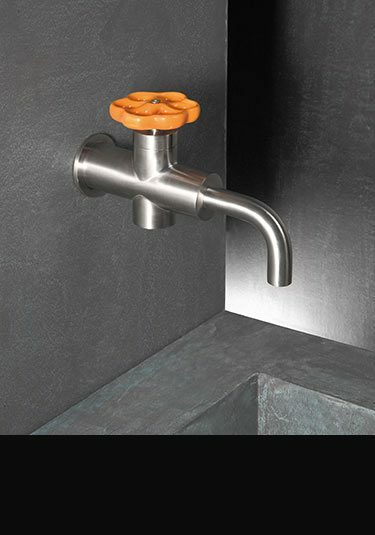 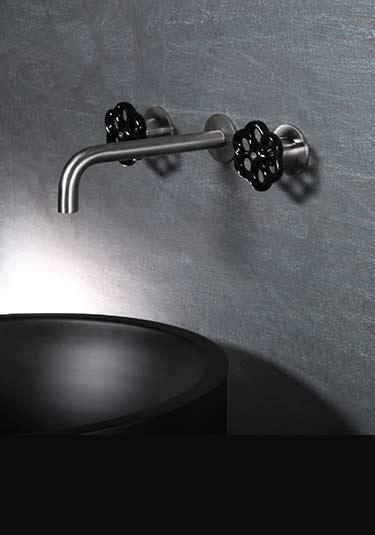 Beautiful collection of stainless steel taps including basin taps and bath taps in wall mounted, deck mounted and freestanding designs. 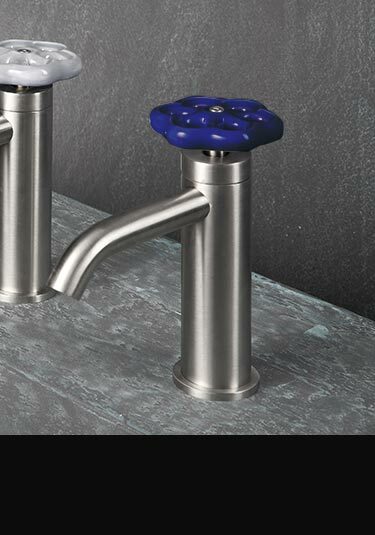 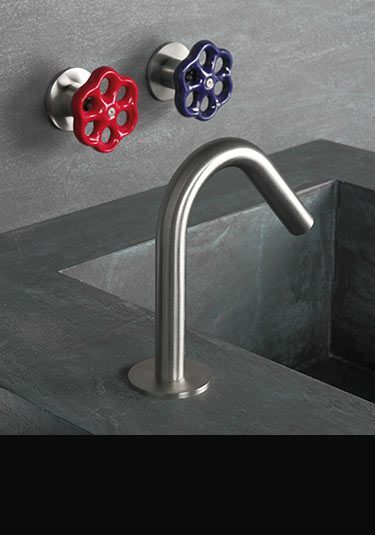 These exclusive designer taps are finished in a brushed stainless steel, with each tap having 8 colour choices for the porcelain tap handles. 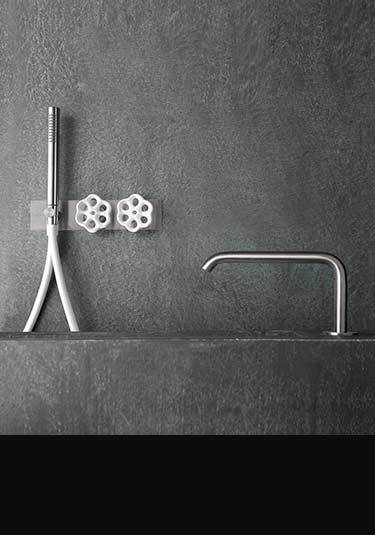 To complement, within this bathroom range we offer matching shower heads, shower valves and floor standing shower columns. 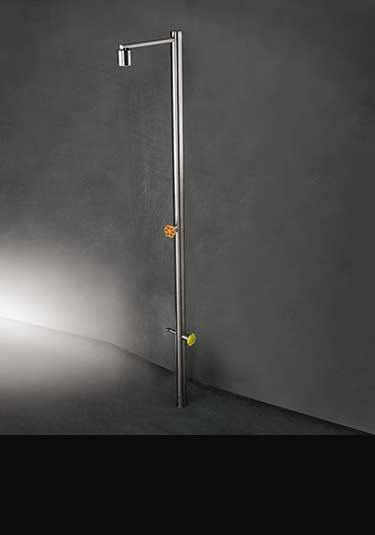 This beautifully unique shower rail has set positions for the mounting of the handheld stainless steel shower. 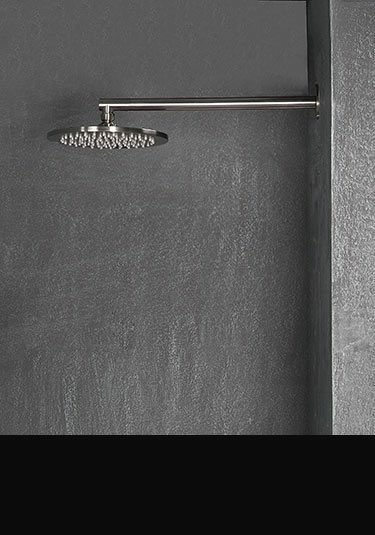 Each adjustable shower head and rail has a brushed satin finish and is the latest in luxury contemporary styling, by top Italian designers. 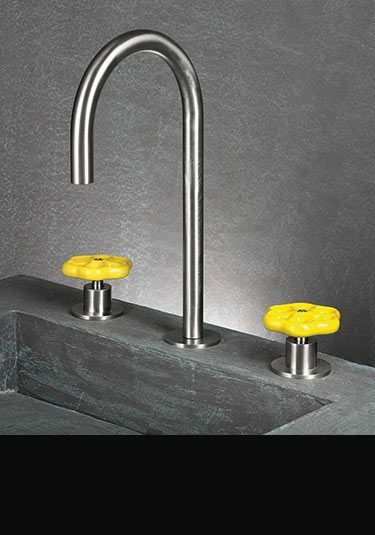 Latest exclusive Italian styling, this unique shower valve uses the mix of brushed stainless steel and colour to impressive effect. 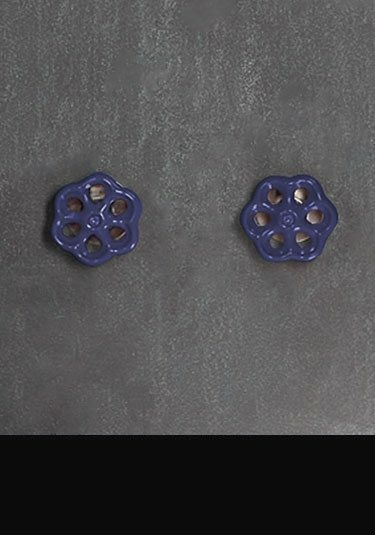 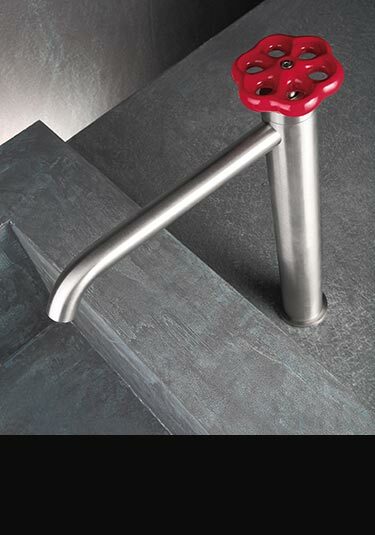 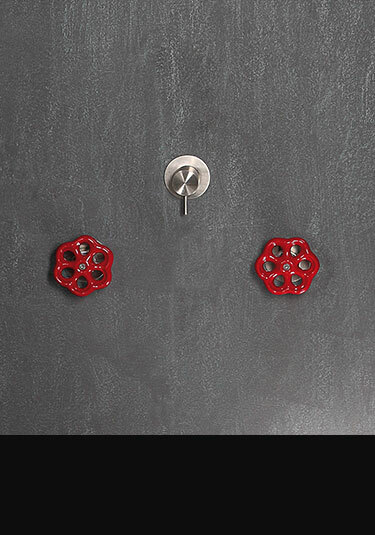 The coloured shower control handles are available in 8 colour choices to suit all bathroom styling. 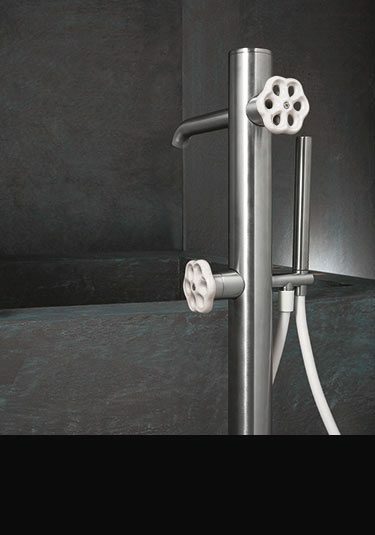 This unique Italian shower valve offers 2 way and 3 way shower multi-functions allowing shower heads, body jets and handheld showers to be operated independently. 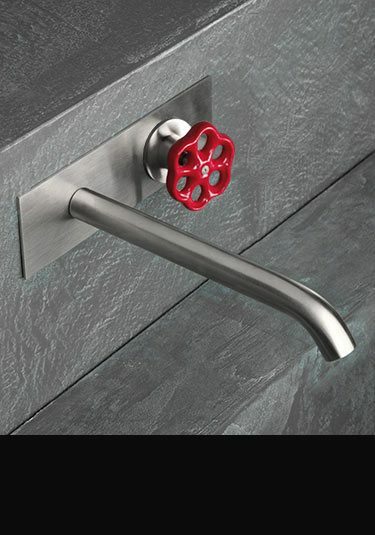 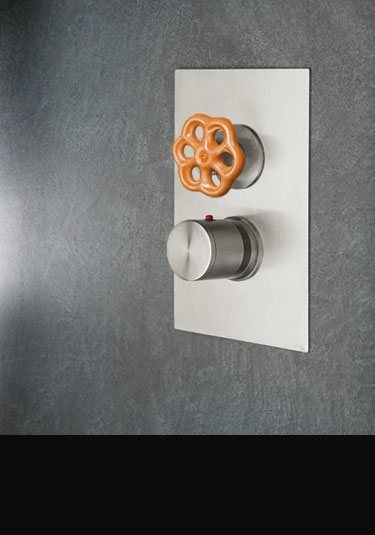 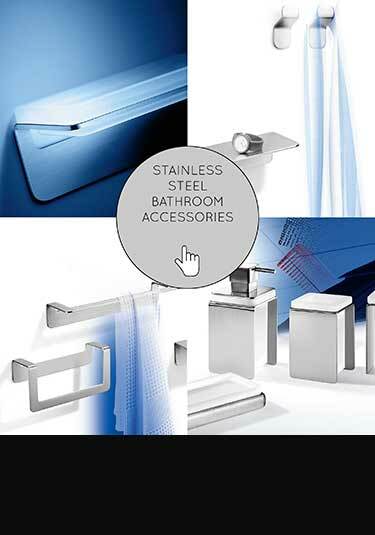 This luxury design shower control is offered different handle colour options. 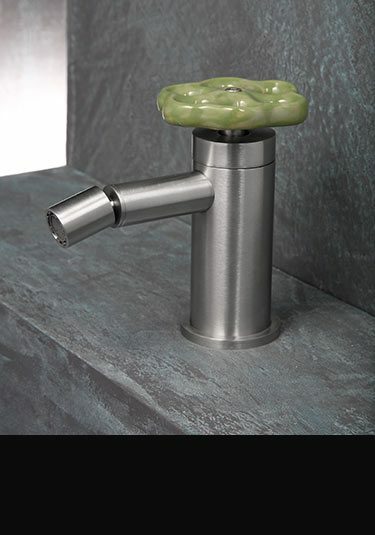 In the latest Italian styling this thermostatic shower valve is finished in brushed stainless steel with a porcelain wheel control handle which is available in 8 colour finishes. 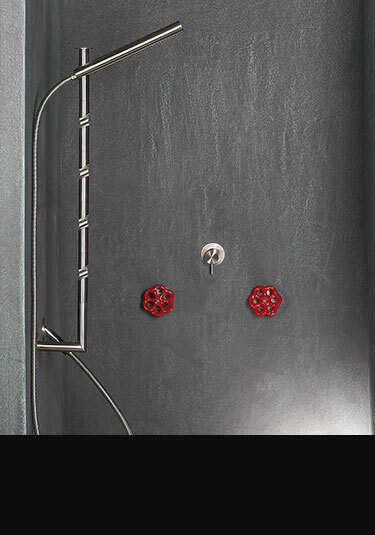 This shower control is supplied as a 1, 2 and 3 way valve for multi-function showers.